06 Şubat 2019 Çarşamba 14:01 - 4 reads. It was in december last year that the police decided on a so-called special event at the airport. and increase the ability of the region's border control. 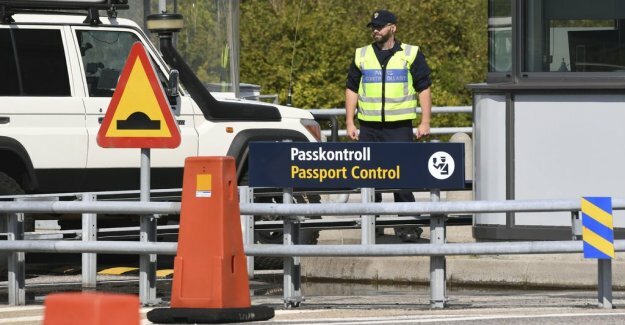 The background is extended and a change of duties, including as a result of the reintroduced border controls in the country, but also the shortcomings identified in the schengen evaluation carried out recently. Now the focus is on detecting and preventing irregular migration and illegal crossings, to counter cross-border crime and contribute to a smooth flow of travelers. ”We have long had challenges in border control operations, that is both complex and changing. In order to be able to carry out our mission in the best way, and after careful examination, it became clear that we need to prioritize and carry out border control operations in the special scheme”, the deputy regionpolischef Pia Sjunnegård Dahlbom said in a written comment.